Dramas, puppets, clowns, songs, games and stories all captivated the attention of the Aiyura Valley children that attended Vacation Bible School (VBS) in mid-January. This was the first time the annual event was conducted in more than one location. With identical programs held simultaneously at two different churches, children from a wider section of the valley had the opportunity to attend. 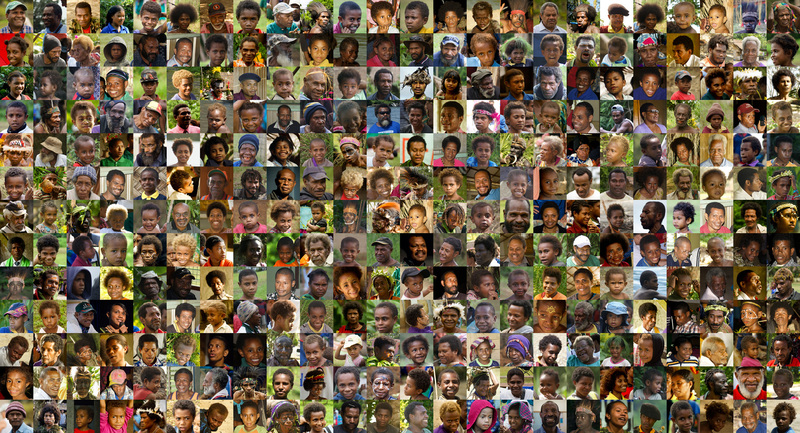 While many, many children came at least once, each location averaged about 210 participants a day. The leaders focused on teaching the kids the story of Joseph from the book of Genesis. The daily stories about Joseph’s life also included a personal application, encouraging the children to honor God like he did. The lessons were reinforced through songs and games that related to the message. The excitement of the children was obvious as they participated in each event with enthusiasm. The last day of VBS was especially moving as many children indicated their desire to be like Joseph and give their hearts and lives to God. 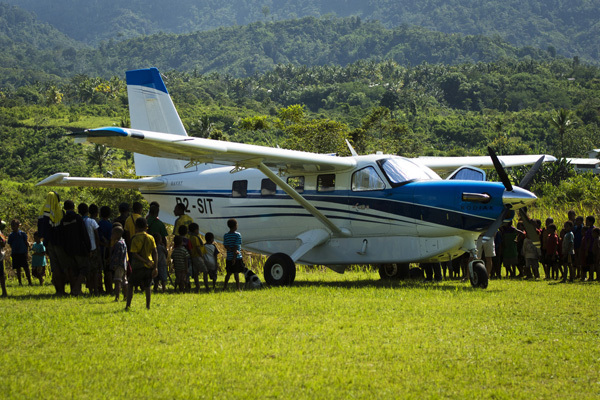 This year was a milestone for the VBS program in that it was the first time the majority of the teachers were Papua New Guinean, and the first time it was held at two valley churches. 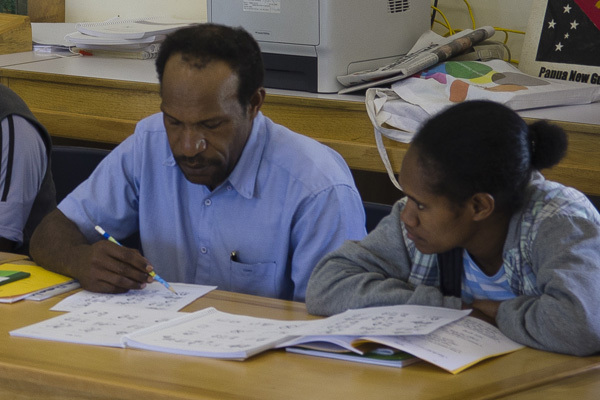 Many of the Papua New Guinean teachers said they learned a lot this year and they all grew in their ability to work with groups of lively youngsters. They were thankful for the opportunity to get out into the community to teach the children. Will the Book remain opened or closed? Many things influence the answer to the question. It’s not as simple as creating a translation. In some areas the issue might be literacy, so helping them learn how to read is a priority. Much work is done to insure that young and old are taught how to read. 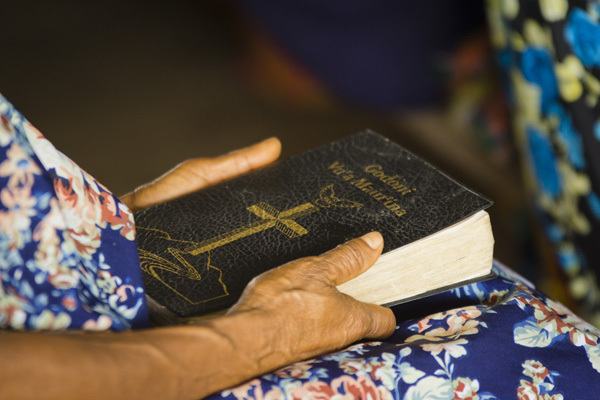 In some areas it may be the significance of the Word of God, then programs like SALT and LLEAD are presented to provide insights into God’s Word that assist in Scripture application and community development. There are many other reasons and it takes wisdom, courage and perseverance for language teams to help communities and churches, keep the Book open. Remarkably, the success rate is high but ultimately, no matter how much effort the teams make, it is up to the individuals within the language group. 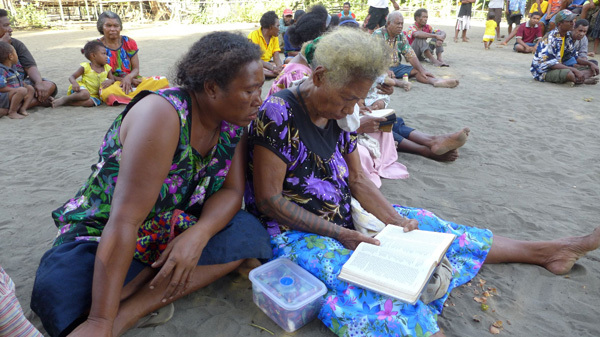 Pray that Papua New Guineans would read the Book! Praise God for the many that do! Perhaps you have seen this photo before but it’s a good reminder of the variety of cultures and languages here in Papua New Guinea. With over 830 languages and close to 300 of them not having any translation or language program started, its a real challenge to find creative ways to meet the need. But sometimes we need to make this challenge specific. Instead of thinking of the many groups that need the Word, think about the fact that perhaps God is speaking to one person right now. That person might have the whole Bible, the NT, a few books, maybe just a few scriptures or perhaps nothing at all. 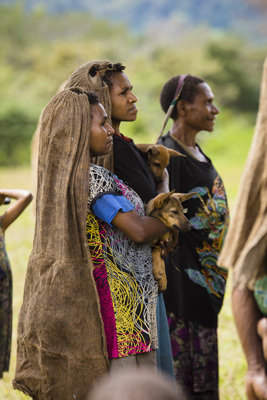 Whatever they have, God is speaking to individuals around the world and around PNG. Point at one of the people in the picture and pray that the Word might become real for them. By the way… Thank you!!! Today we exceeded the 10,000 view of these blogs. We couldn’t have done that without you! SIL wanted to fulfill this request from the Dibiyaso people, living around the tributaries of the Bamu River in Western Province. However, with 100’s of languages in Papua New Guinea still needing a translation and not many new translation teams coming to the country each year, this request has been unmet for almost two decades. In order to explore different ways of fulfilling such requests, SIL Director Paul Minter encouraged SIL personnel in PNG to consider a multi-language initiative. 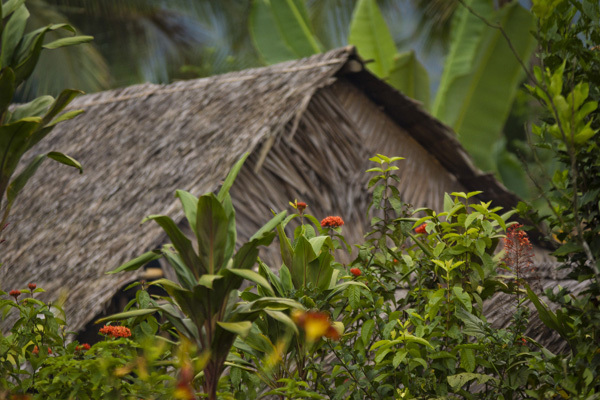 On 20 and 21 January, more than 170 expatriate and Papua New Guinean staff gathered to hear reports of language needs in various parts of the country, brainstorm strategies, and seek God’ direction. 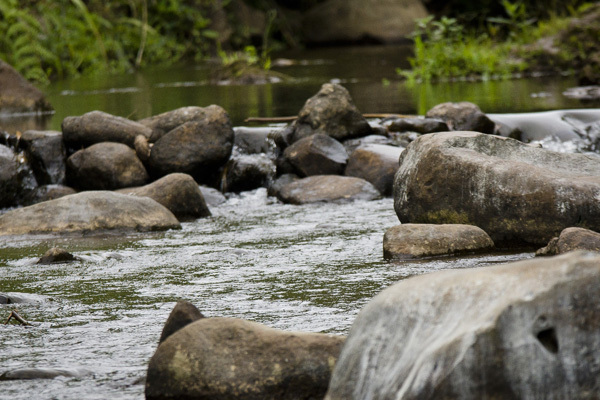 The result was a unified decision to focus their next emphasis on the people groups living around the Bamu River. This proposed cluster of languages will include not only the 2,000 Dibiyaso speakers, and the similarly-sized Mubami group, but also three other language groups in the area, each of which has fewer than 300 people. Sandra Callister, the Director for Language Programs, said, “I’m so glad that the Hoia Hoia, Foia Foia, and the Hoyahoya will be included in this cluster. 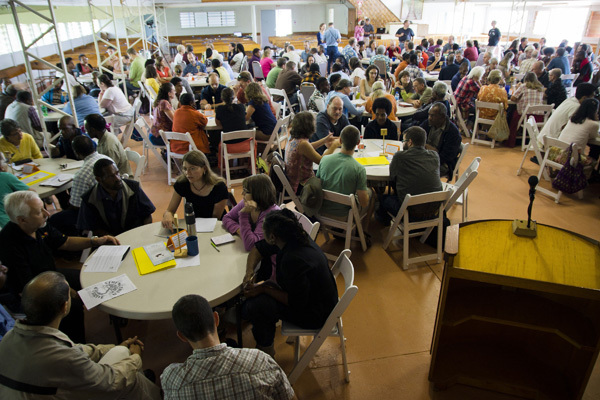 In a cluster project, related languages work together to translate passages of Scripture. They each work on the same book in their own language so they can encourage one another, share translation resources, and discuss the meanings of difficult passages as they arise. Completely submersed in a village’s culture and language can be a great environment for learning a new language. But it can come at a cost. Sometimes the distractions of life inundate language learners and they spend more time with daily routines than working on the language. Bringing language speakers in from the village to a more accessible place can improve efficiency but it puts strain on the national language worker as they are away from their families and responsibilities. This new environment has distractions of its own for the villager. Which is best? Sometimes neither. Sometimes both. It demands great wisdom when planning and executing a language program. Pray for wisdom for these new starts. Some language groups have limited interest in having a language development or Bible translation project in their community. When this occurs, it is usually because they have not experienced the benefits of having a translation project in their language. Sometimes they need a “taste” of how this might benefit them. So translation organizations are now providing communities with small projects that can be more easily translated into their mother tongue. Projects like songbooks, short Bible stories, public health brochures, AIDS awareness, recordings of select scripture verses and more are offered. 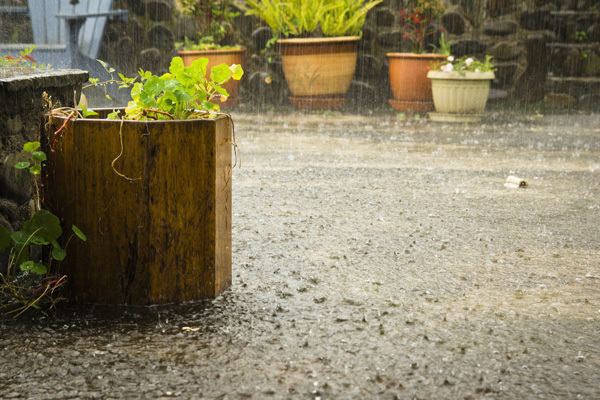 These projects create interest and increase the community’s desire to embrace a larger program. 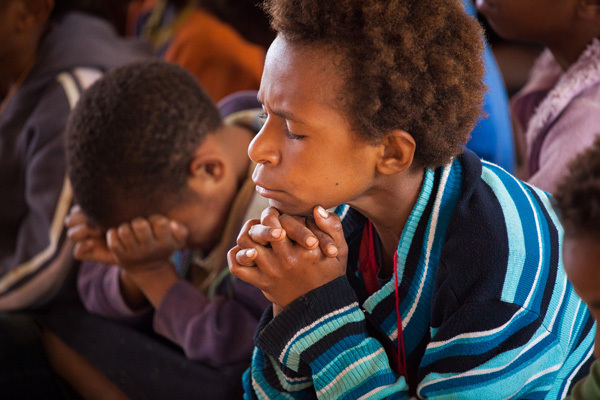 Pray for these “taste” and “see” approaches that bring translated Scriptures to people groups that have no access. The Waima New Testament hasn’t been collecting dust since its dedication in July 2003. A community FM radio broadcast, multiple showings of the “Gospel of Luke” video, and Scripture Application and Literacy Training (SALT) courses have all encouraged the use of the Waima scriptures over the past decade. But as the tenth anniversary of the dedication approached, the translation team and village leaders decided a celebration was needed to remember the momentous occasion. On 28 July 2013, thousands from the surrounding area gathered in the central village of Ereére. The United Church Circuit minister started the celebration with a worship service, followed by hymns and dramatic presentations. Later, various groups held competitions in scripture reading and memorization. Taita Baeha is over 70 years old. When her turn came to compete in the scripture reading, she stood up and clearly read the passage given to her. It was a challenging chapter from 1 Corinthians, but she never stumbled or made a mistake. For her perfect performance she was given the title, “Tuabi tuabi babiéna!” –a Reading Lady! The Waima Circuit United Church has grown steadily since receiving the Waima New Testament in 2003. They have since established their own circuit called “Pou Namona” (Good News), and decided that 19 July should be annually celebrated as “Waima Bible Day”. The Waima people have also embraced the responsibility to carry on translation of the Old Testament. It is their desire that God “continue to speak clearly” to the Waima people.